Transfer UK domains from Easyspace - the affordable way - Two Up I.T. I have used Easyspace for over 15 years in one way or another. When I first started registering domain names with them, they were affordable and fairly reliable. As seems to be the case far too often these days, the relationship with the supplier became somewhat poor. I have two main issues with Easyspace. The first – yet not the most important in business terms – is that their Technical Support “team” are impossible to contact no matter how urgent the query. As I am what you might call fairly comeptent in domain name matters, the need to call was not frequent. My main gripe, however, is pricing inconsistency. Every other registrar I have used offer you their current “going rate” when you renew a domain name. With Easyspace, there was no consistency at all. I would see two domains due for re-registration come up, both .co.uk, with renewal prices differing by up to £10 in some cases. When you speak to Sales (who do answer the phone very quickly), they would sort the issue and say it was down to “the price the domain was when it was first registered”. Given that most (not all) Generic Top Level Domains (gTLD – .com, .org, .net etc) and Country-Code Top Level Domains (ccTLD like .uk) prices remain relatively static or drop over time, why can’t they be like every other registrar I’ve used, and offer the current list price for the renewal? This seems like little more than a cash grab. Considering the purchase / renewal cost to the registrar (in this case, Easyspace) is less than £5, you would think that long-term customers would benefit from the occasional deal when it comes to renewal. I manage the purchase and renewal of a lot of domain names. Of these, quite a number of them are .uk. There is a lot of profit for registrars – especially ones with a lot of .uk domain names (as you would expect to be the case with a UK registrar.) You would think that they might occasionally reward long-term customers, however I digress. The biggest surprise will come when you decide you’ve had enough, and wish to move your domains elsewhere. For gTLD transfers, you log on to the Control Panel, unlock the domain and retrieve the Electronic Authorisation (EPP) code, submit the details to your new provider – and you’re done. No additional charges. In the case of .uk domains, there is a slight hitch. In an effort to combat fraud (and generate a little more income to boot), Nominet (the UK’s core name registry) introduced a transfer fee. This currently sits at £12+VAT (for non-members), with room for discount if you are a Nominet Member. Members are those who can register domain names directly with the registry. If you wish to move a .uk domain using Easyspace, they will charge you £18+VAT per domain. Imagine my surprise / horror / completely expected outrage when I decided to move the remaining .uk domains I had left at Easyspace, with the renewal price of some .uk domains being £20+VAT for one year, and further inconsistent pricing in the pipeline. I had 12 in total, which (including VAT) would have cost me £259.20 (plus any inbound transfer fees with my preferred registrar). Considering they’re not actually doing anything, that’s quite the charge. So, I found the perfect way around it. You need to ensure that the Owner whois data points to your current e-mail address (and not Easyspace). 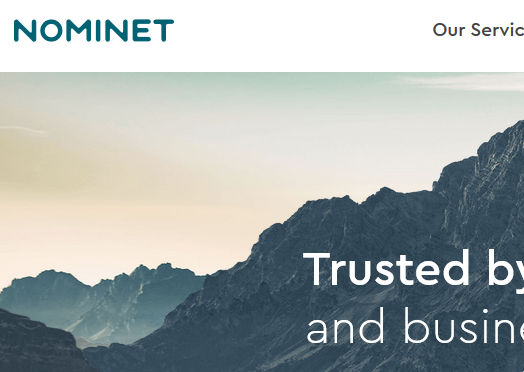 Visit the Nominet site (https://nominet.org.uk) and create an account using that same e-mail address. Once you are logged on to the portal, it will list all .uk domain names that you have created using that e-mail address. You can directly change your registrar using this portal. Create a bulk request with all of the Easyspace (and other) domain names you wish to move to a sensible registry, and follow the process. You’ll be asked for details of the new registry. Once you’ve completed all of the details, you will be taken to an Invoice and Payment page. You will pay one fee of £12+VAT to move all of your domains. No more excessive charges!